Their tone as well as the vibraphone from the Milt Jackson Quartet recording was thick, rich and palpable. Interestingly, these instruments were not pushed forward. Their presentation was simply so energetic over quite a broad frequency range that they seemed to play closer to the listener than usual. At once I also noticed excellent colors. Timbres were developed over a wide range of shades. An essential part of such a coherent presentation was surely due to the high-quality treble. Only KEF’s fantastic Uni-Q system offered the same quality treble but theirs wasn't as well integrated. That always seems to be a feature of Dynaudio designs – outstanding coherence. Xavian’s Primissima also pleased me with its coherence but the treble was of a lesser quality than Dynaudio's or KEF's. The DM 2/6 tweeters were potent in a rich way. Transient attacks were perfect, perhaps not as precise as the best of the best metal, ceramic or diamond domes but superior to most soft domes I’ve heard regardless of price. 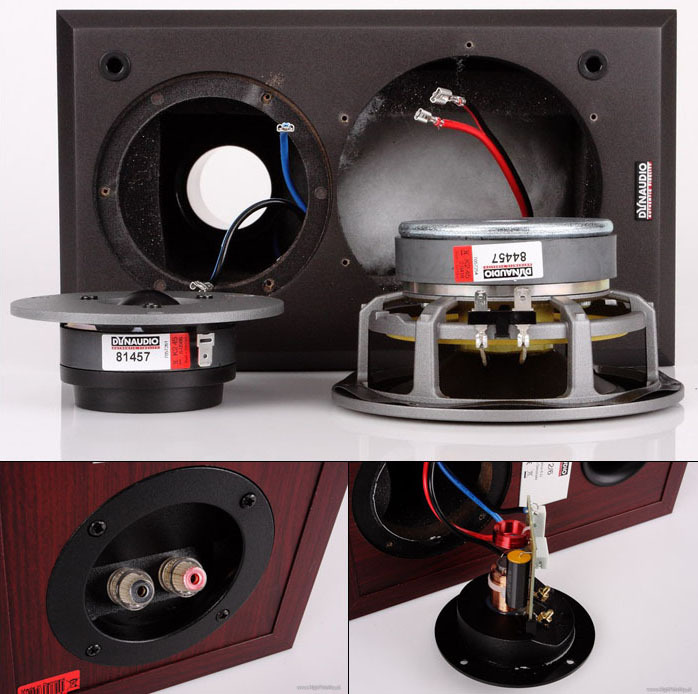 The remarkable resolution of Dynaudio tweeters is almost legendary and even though these particular units aren’t their dearest, they delivered most the performance of the Sonus Faber Electra Amator tweeters I’m familiar with from Janusz’s system, host of most our Cracow Sonic Society meetings. If I were to describe the sound of these Dynaudios in a nutshell, I’d say that their tonal balance was moved towards the lower midrange. They don't sound heavy or hooded but the designer's main focus was taking care of a proper Vocals – yes, vocals with a capital V. Because that's exactly what they achieved. The Madrigal voices from the Concerto Italiano ensemble as well as Madeleine Peyroux’s pipes were big, rich and believable. The latter was particularly impressive as she was recorded deliberately to express this warmth. The Dynaudios captured this very well. Male voices were surprisingly wonderful, particularly baritones in very carefully recreated acoustic ambiance presented on spectacular soundstages. When listening to different recordings, I learnt that the DMs differentiated well between volume levels where most monitors go for an ‘average’ instead. Such level differences can be huge when one compares Diorama with Monteverdi’s Ottavo Libro where the difference spans up to 10dB. The Dynaudio minis reflected such differences with dignity, suggesting each time that I should readjust the master volume. Great dynamics were a strength. So were defined punchy attacks. Those weren’t brutal but rather, slightly rounded yet powerful, confident and very well articulated. Thanks to that, Jazz wasn't the only kind of music these minis did well. The DM 2/6s also cottoned to electronica, even Tool. You can't use them for very loud session which will emphasize a slight rise somewhere between midrange and treble but at regular levels all is fine. These loudspeakers also offered above average resolution. Again, the treble was vibrant and rich if not as detailed and richly hued as the SEAS metal unit in my reference Dobermanns. Still they were very impressive for being soft domes. By comparison, most of their kind will sound flat. The same goes for the mid/woofer. Even less transparent recordings like Kate Bush’s The Whole Story had the DMs capture all instruments clearly enough. 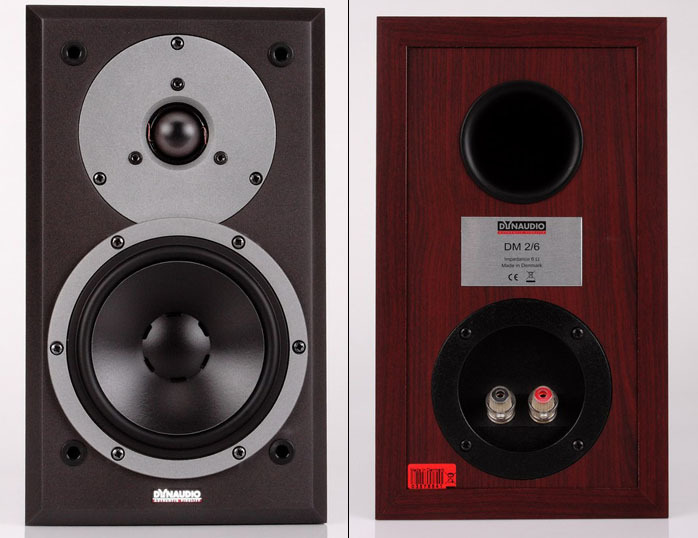 Generally speaking, the DM 2/6 behaves like a regular studio monitor but without the exaggerated sharpness that’s quite common among them. You can't expect too much bass extension but what you get is rich, dense and delivered well balanced. The Dynaudios being so linear is somehow inconvenient. It's not a paradox but caused by their size. If they played with bigger more extended bass, that whole range would be more solid but especially at higher levels, the upper midrange or so-called presence region might sound a bit exaggerated, partially caused by the small mid/woofer and its limited power handling but also by its linearity. This loudspeaker is somewhat rare in not being tweaked in its response. Hence you need to carefully choose your amp. I would think a 25.2 Music Hall a good choice – not too bright, not too dark. You could try tube amps but you’d need significant power. Dynaudios need a lot of power to show their best. The DM 2/6 was less efficient than the Xavians and KEFs. It's not a real disadvantage, just a feature you must cater to. With the proper amp, these will offer wonderful sound. The bass reflex works quite hard but is so well integrated as to not pose a problem. The general character is quite quick and open enough to not feel truncated. It's the sound of real monitors. Description: The DM 2/6 is small even for a monitor. ‘D’ stands for Dynaudio, ‘M’ for monitor. The 2/6 is part of a separate special loudspeaker range which targets sound over cosmetics. 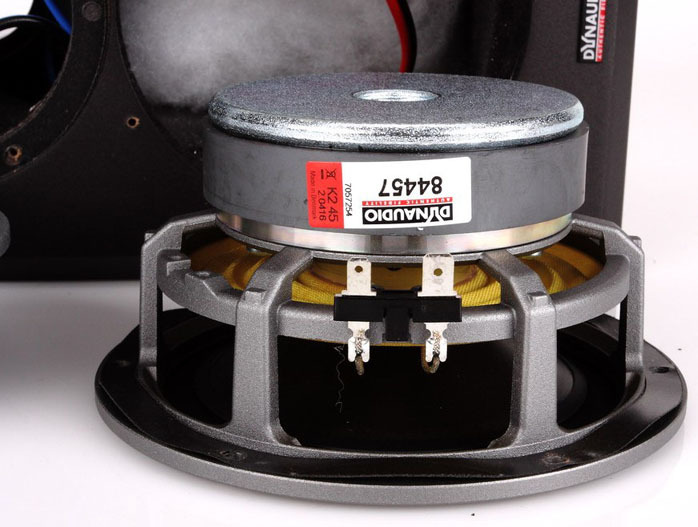 The drivers are a remarkable 140mm mid/woofer with highly rigid die-cast aluminum basket. Its diaphragm is made of Dynaudio's patented Magnesium Silicate Polymer which is polypropylene with added magnesium. Like all such Dynaudio drivers, the cone is one continuous piece of material to incorporate the dust cap. The voice coil runs aluminum wire in a modest diameter. The exposed soft dome tweeter is a coated silk dome with damped cavity beneath the dome. Both drivers are mounted to a solid MDF baffle. The remainder of the enclosure is MDF too. Budget cuts show in the laminate finish while the baffle is grey paint. There are two laminate options - rosewood and black ash. The binding posts are quite simple, gold-plated but nothing too massive. As usual with Dynaudio, there’s no biwiring. The simple crossover is mounted at binding post height. There is a polypropylene Bennic capacitor, an air-coil inductor for the treble and a solid-core coil for the mid/woofer. The ceramic resistors are very common and the port is in the back (all DM models are bass-reflex designs).